Quite a catch! 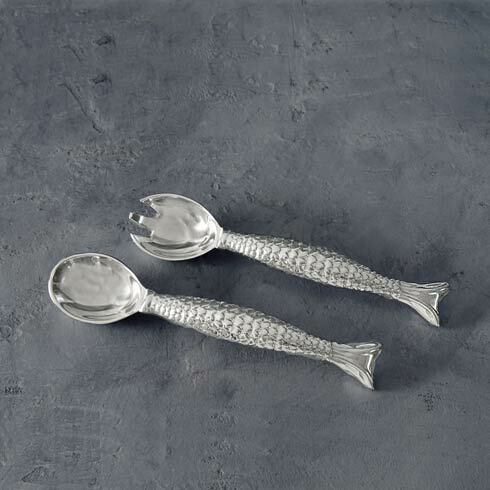 Designed with rich surfaces of scales and and lively fishtails, the Beatriz Ball OCEAN Fish Salad Servers are as distinctive as they are practical. Pair them with any of the fabulous bowls from the OCEAN Collection. An original design by Beatriz Ball, handmade of a top quality, FDA safe, easy-care, oven and freezer friendly aluminum alloy.